Wonderful American folk portrait confidently attributed to the Justus DaLee family of artists and probably painted by Justus’ wife Mary DaLee. Side portraits by the Da Lee family have been desirable and well collected since the early days of collecting American Folk Art. 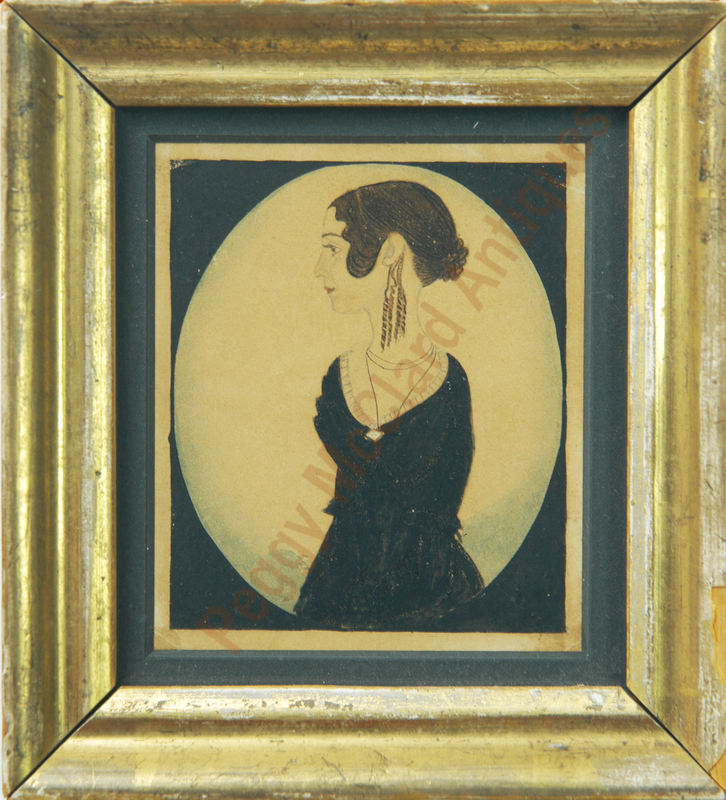 When the signature of Justus Da Lee was found on one of these circa 1830s profiles, the artist of all of the similar portraits were attributed to Justus. However, thanks to the scholarship of Suzanne & Michael Payne we now know that painting side portraits was a family business for the Da Lees. Justus’ brother, Richard, and his brother, Amon both went on the road, both with Justus and alone, to paint these wonderful bits of history. 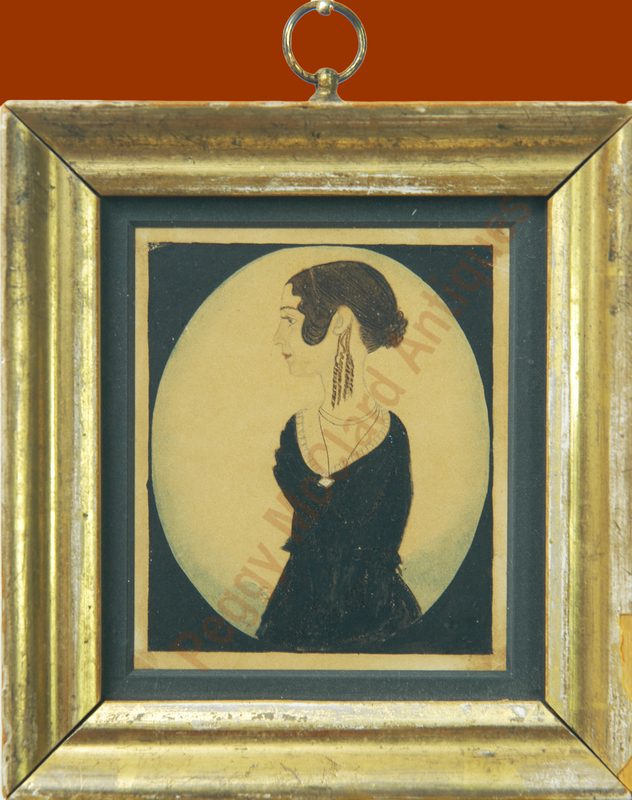 The Paynes also told us that family letters also revealed that Justus’ wife, Mary, and one of their daughters, Mary Ann also painted portraits. A more recently article by Joan Brownstein and Elle Shushan examined a group of Da Lee portraits by different family members and, for the first time, gave us clues on determining which artist in the family created which portraits. Mary Fowler Da Lee was born in Cambridge, New York and married Justus Da Lee in 1816. Together, Mary and Justus had ten children. In the mid-1830s Justus Da Lee began the painting career that would involve much of his family for the almost 2 decades that they painted portraits. Through family correspondence we know that Justus’ wife, Mary, and their oldest daughter, Mary Ann, painted side portraits. So far, no signed examples have been found of either woman’s work. However, Brownstein and Shushan examined a related group of 10 portraits which do not bare the characteristics of the works of Justus, Richard, or Amon and may be attributed to other members of the Da Lee family. In their opinion, these portraits were probably painted by wife, Mary. Brownstein and Shushan describe the portraits probably done by Mary as having “fully outlined oversized eyes and chins that are set back from the line of the upper face. The male bodies appear to lean back into an absent chair … while the women have long necs set into elongated torsos….. The article is illustrated by two such works, including one of Amelia B. Lathrop which bears a striking similarity to the portrait offered now. 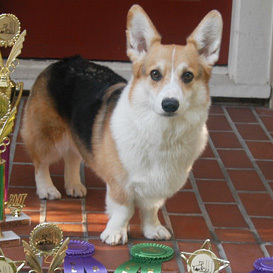 Please follow the link below to the article and view the last photo, Fig. 17 on page 161. This portrait has an almost identical hairstyle as Amelia Lathrop, including the finger curls at the temple, the long well-defined ringlets coming from behind the ear. Both women have a hairband which separates the hair that is pulled down towards the ear to form the finger-curls and travel towards the ear from the hair that is pulled straight back to both women’s braided knots positioned low at the back of the head. 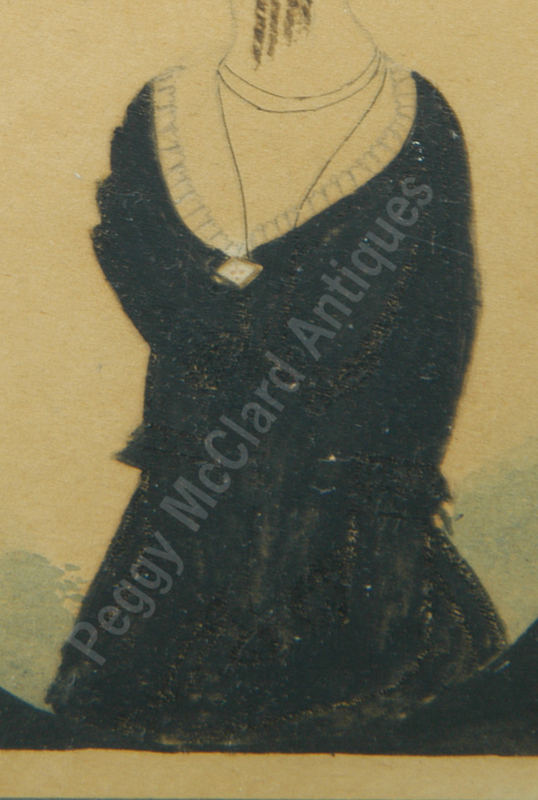 Like this portrait, Amelia wears a black dress over a very elongated body with a white lace ruffle at the neckline. Both women hold their arms straight down to their elbows (which are both located very low on the arm) and then hold the lower arm slightly toward the front. Both wear a brooch at the center of their neckline and long chains that are double (or triple) looped high at the neck and then seem to disappear into the black of the dress. Both women have the slightly receding chin that the article describes as well as the other characteristics described. The ear of this portrait is drawn and colored like the other “possibly Mary Da Lee” portrait in the article of Cornelius Lathrop. Another characteristic I notice from the article illustrations is that these “possibly Mary Da Lee” portraits seem to have bodies that face the viewer at a bit stronger angle than all but the Justus full-frontal portraits. The other Da Lee artists’ work depicts the bodies as just barely turned towards the viewer whereas this portrait and the other “possibly Mary Da Lee” portraits are at an almost three-quarter angle. So here we have this elegant lady by a very rarely found member of the Da Lee family. It is in very good condition with a bit of craquelere to the gum arabic used to highlight the dress, overall toning to the paper, small hard to notice creases at the corners of the paper (outside the area of the black spandrel). Inside the border created by the black spandrel is the light blue tinting that shows up in some of the Da Lee portraits. It may have been painted on purpose or it may be aging of the paper and paint—whichever it is, it seems to enhance the portraits with one more level of color. The painting is very lovingly framed with museum quality conservation materials with a thin black mat that separates the glass from the painting. It resides in a period gilt frame that has some expected dings around the edges. Since there have only been ten portraits with these same characteristics found and the known ones are all of the Lathrop family, I believe that this might be a Lathrop family member that got away from the rest. This might be Amelia Lathrop’s mother Delia Platt Lathrop, but that is speculation based on the few pieces known and the striking similarities between the two female portraits. I wish I could see the rest of this family group! I find this a wonderful opportunity to own a Da Lee of a different hand than what is generally found. 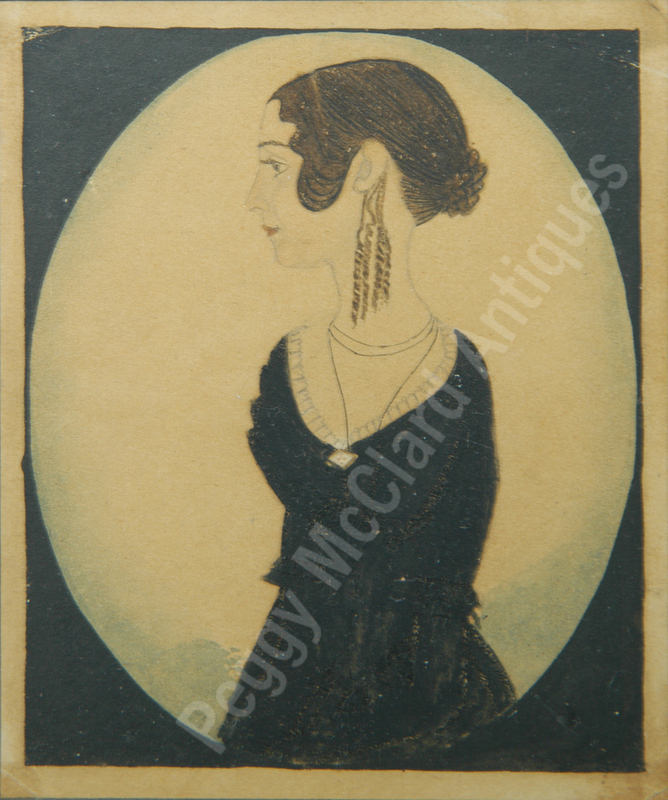 If you add both this elegant lady and the Justus Da Lee portrait of Bathsheba Hosmer Day that I also have listed, you can have two Da Lee artists and possibly painted by wife and husband! A great piece of American folk art, circa 1840. Anderson, Marna A Loving Likeness American Folk Portraits of the Nineteenth Century, Bristol-Myers Squibb Co. (1992) 11-13. Brownstein, Joan R. & Shushan, Elle, "Side Portrait Painters, Differentiating the DaLee Family Artists", The Magazine Antiques, July-August 2011. Click the link to read the pdf article posted on Elle Shushan's website. Rumsford, Beatrix, American Folk Portraits Paintings and Drawings from the Abby Aldrich Rockefeller Folk Art Center, Boston: Little Brown, in association with Colonial Williamsburg Foundation (1981) p. 77-79. 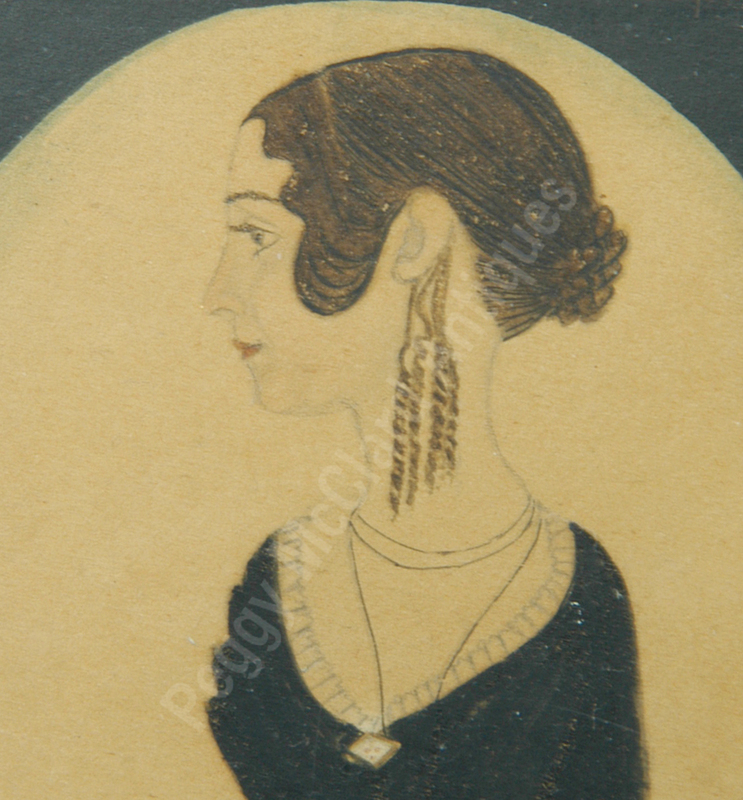 Please see the Folk Portrait Artists page for more information about Justus DaLee & Family .